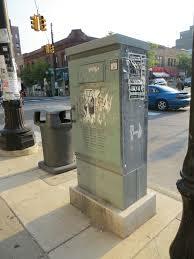 When is a utility box not a utility box? When it’s a work of public art. 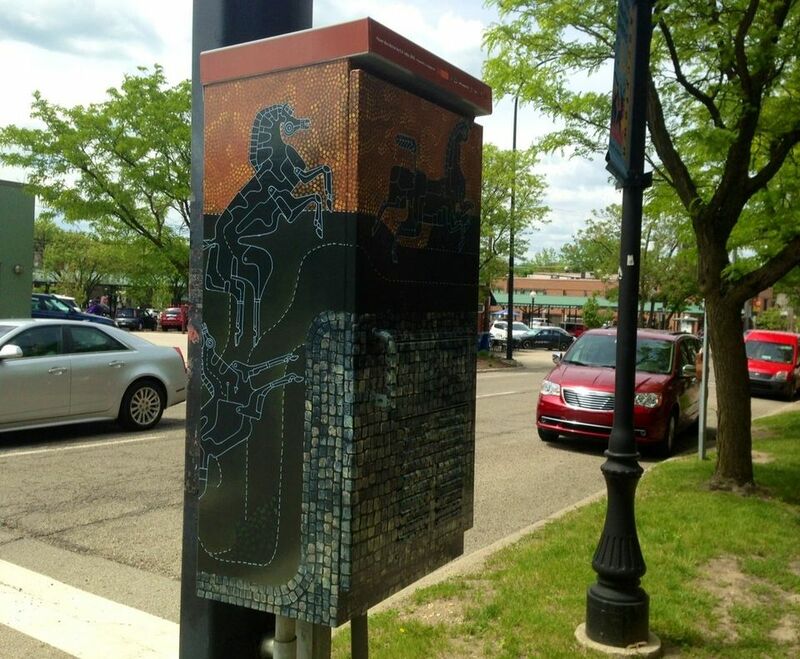 My home city, Ann Arbor, Michigan, has some of the best looking traffic signal utility boxes you’ll ever see. Thanks to a collaboration between the civic and arts organizations, the city is beginning to cover 42 utility boxes with vinyl printed art reproductions by local artists. I hoped I could find a video of the boxes to delight you, but you’ll have to click here for the slide show. It’s worth it, really. Go for the full screen version! Someone looking at lowly boxes like this one, envisioned wonderful art like those above and below. It made me wonder, what else in our homes or communities could be transformed creatively? There is a long history of murals transforming cityscapes, but what about something smaller? Might your school trash cans become art? The drinking fountains? It might take some creative thinking to consider the types of art that could survive in those locations, without a budget for professional vinyl reproductions. Sharpie on contact paper, perhaps? Is there something in the cafeteria or playground that could use art-enhancement? What kind of paint would you need to put fantasy creatures on play surfaces? I don’t know, but you could find out. The same question could be asked at home. What lowly and typically ignored features might be made more beautiful? Your mailbox? Indoor trash containers? Toothbrush holder? 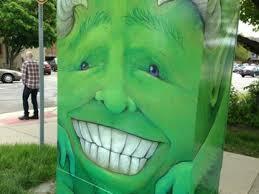 If traffic utility boxes can become things of beauty and humor, what else is possible? I’d love to hear what you find!